What Age is Best for a Face Lift? The simplest answer to this question is that there is no “perfect” age to get a facelift. At Advanced Aesthetic Surgery, our facelift patients fall into various age groups—this is because the aging process is different for everyone. Genetics, health history, and daily lifestyle choices make the biggest overall impact on the progression of facial aging. 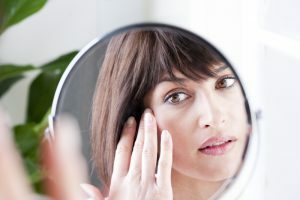 Depending on how these factors have affected the skin, some individuals may need a full facelift, while other patients of the same age might only need a mid-face lift and/or non-invasive injectables. To find out which procedure is best for addressing your concerns, it is best to schedule a consultation with an experienced board-certified plastic surgeon. In your consultation, he or she can review your medical history and individual goals to help you find the most appropriate treatment(s). A facelift could be right for you if you would like to reduce the appearance of deep facial lines, wrinkles, and/or loose, sagging skin on the face and neck. A facelift can also often erase signs of deep creases around the mouth, commonly known as laugh lines. While stress, sun exposure, and the natural aging process can occur at different impact levels and times for everyone, Dr. Thomas Lintner can help you reduce the signs of aging through a personalized treatment plan. Contact our office today to learn more about the facial rejuvenation techniques available at our practice or schedule a one-on-one consultation with Dr. Lintner.